What is a xpi file and how do I open a xpi file? The XPI (pronounced zippy) is a technology used by the Mozilla Application Suite, SeaMonkey, Mozilla Firefox, Mozilla Thunderbird and other XUL-based applications for installing Mozilla extensions that add functionality to the software. .XPI installer module is a ZIP file which contains an install script at the root of the file, and a selection of data files. Since Firefox 1.0, XPIs from sites other than Mozilla Add-ons are blocked by default. This was an attempt to prevent malicious programs, like computer viruses, trojans and spyware, from being installed by novice users. While possible to put a site into the whitelist that limits sites which can install XPIs, malicious sites cannot install extensions in the background unless the user approves the install. This is due to a confirmation dialog which needs to be answered for every  installation of an extension. However, users must still be advised to install extensions only from trusted sources. To install the file locally on the system the user can drag and drop the file onto an open Firefox browser window or use the Firefox File | Open menu command. 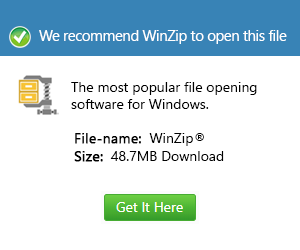 Commonly the file will be downloaded via Firefox after the user searched for new add-ons and will automatically install itself and be available after a browser restart. The XPI extension is also used by LcdStudio, a program that allows users to create programs that render computer performance data on an entire monitor screen. They contain a list of XDS design files to be played in an LcdStudio application, and are used to display dynamic visualizations from live computer performance data.